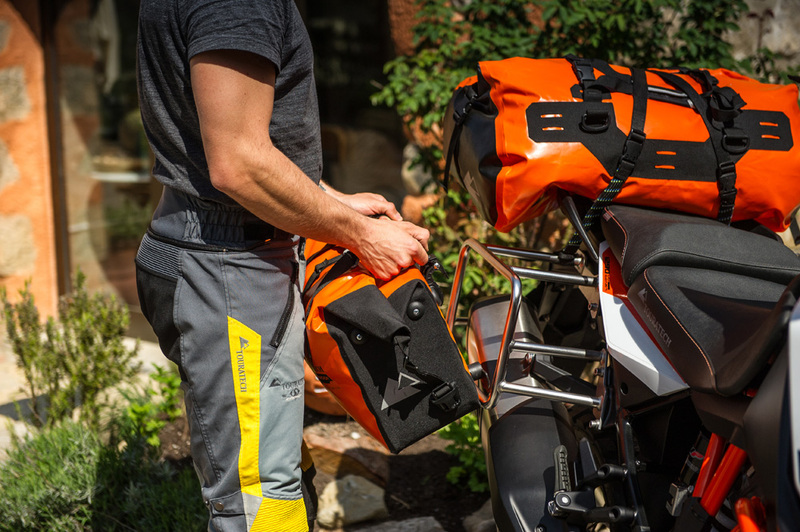 Quick on – quick off and just the right size! 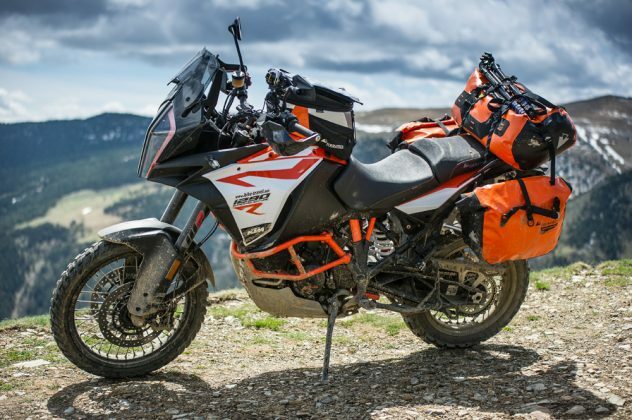 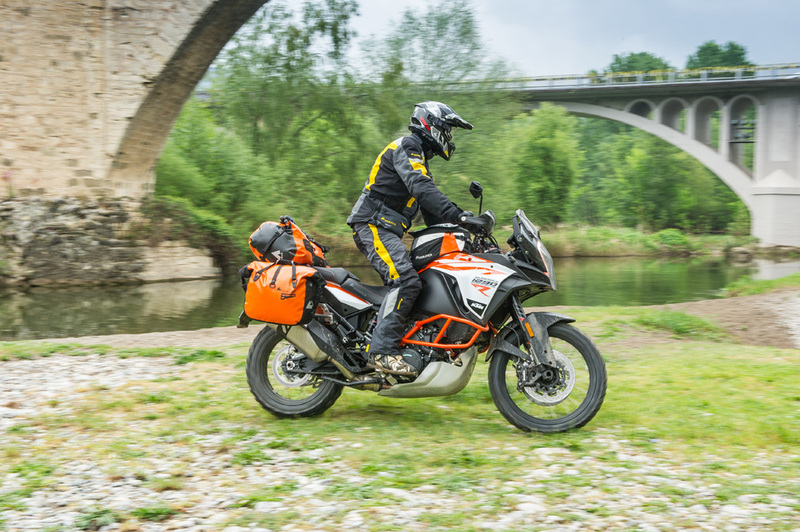 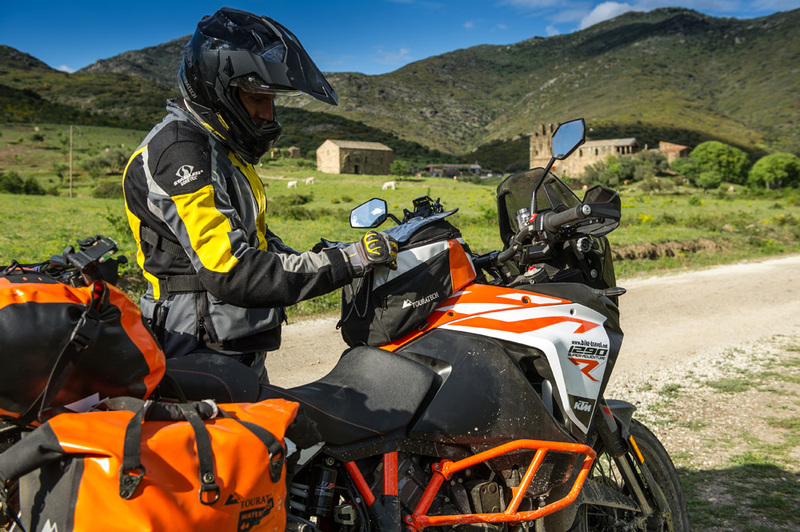 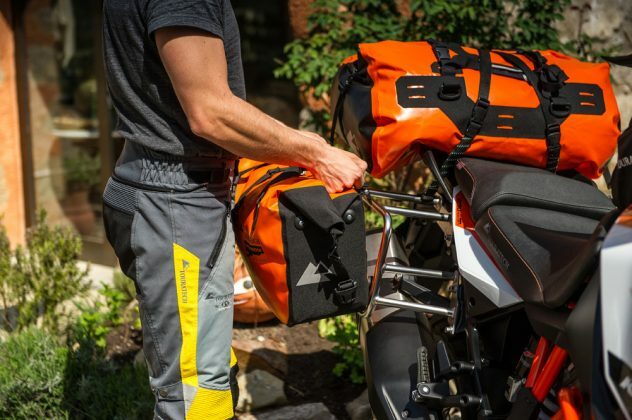 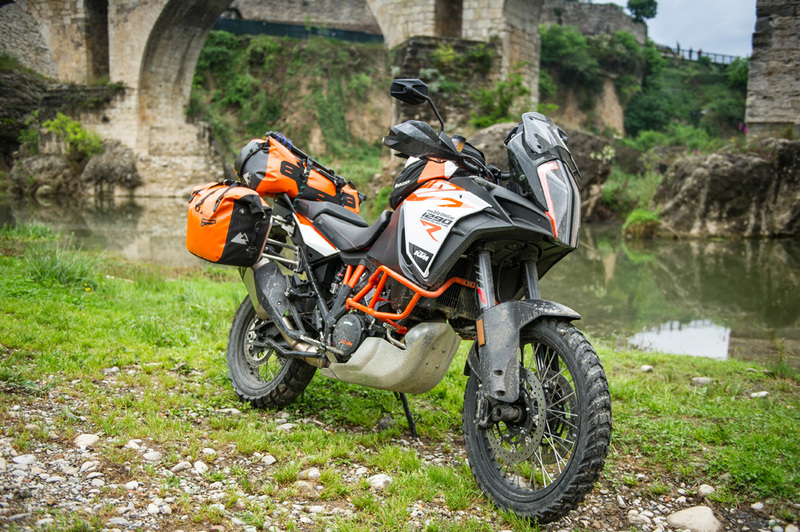 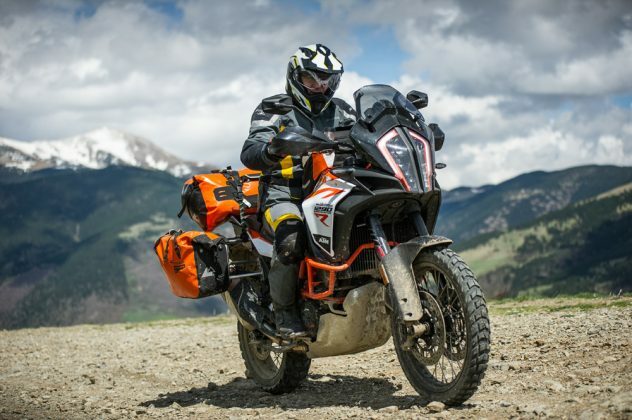 It’s not just off-road riders world-wide who have been waiting for this: A super lightweight and waterproof soft luggage system for all common luggage racks. 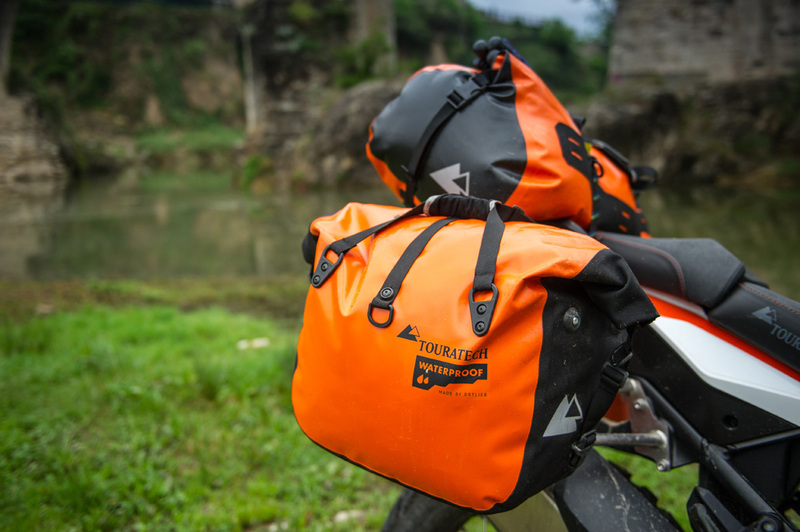 The Side bag ENDURANCE Click is the first real alternative to aluminium cases. It is lighter than any plastic case, yet durable and completely waterproof (IP64). 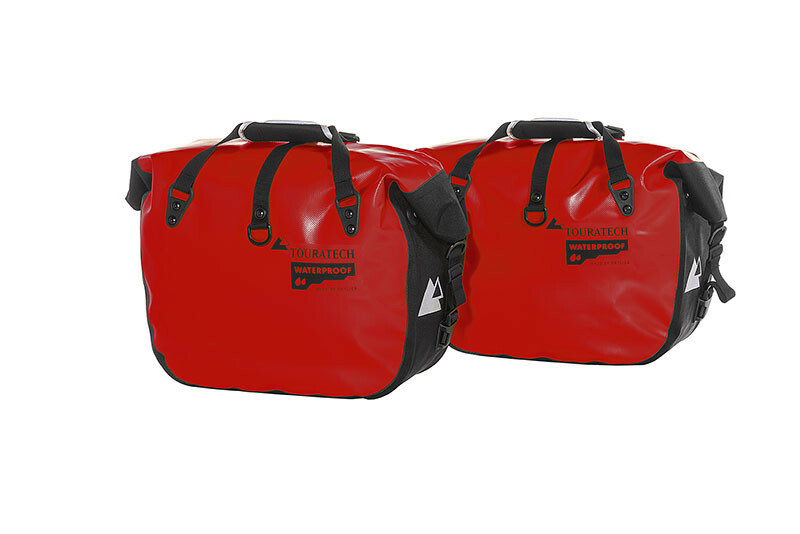 With a capacity of around 28 litres it can accommodate a lot! 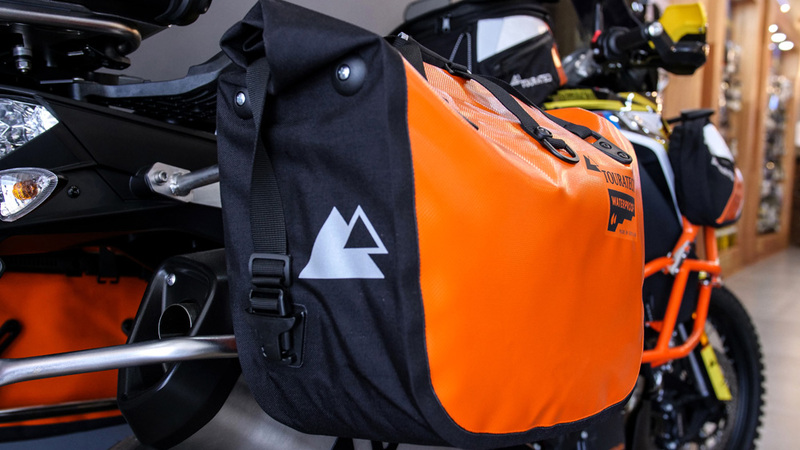 Thanks to the automatically locking fixture system the bag is easy to use and adapts to any standard bike rack with 18 mm tube diameter. 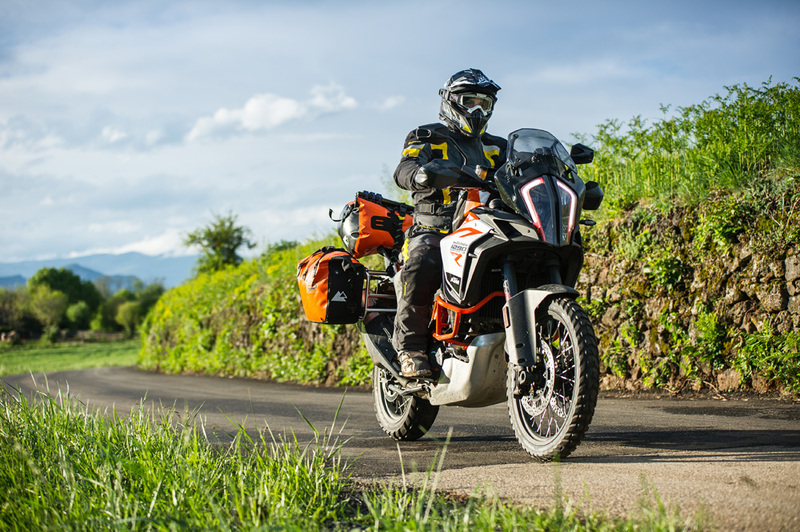 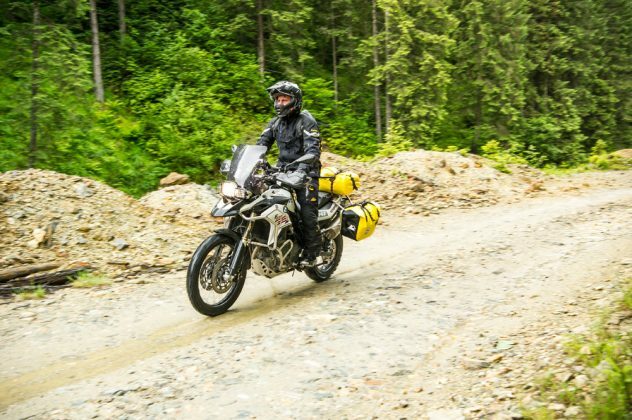 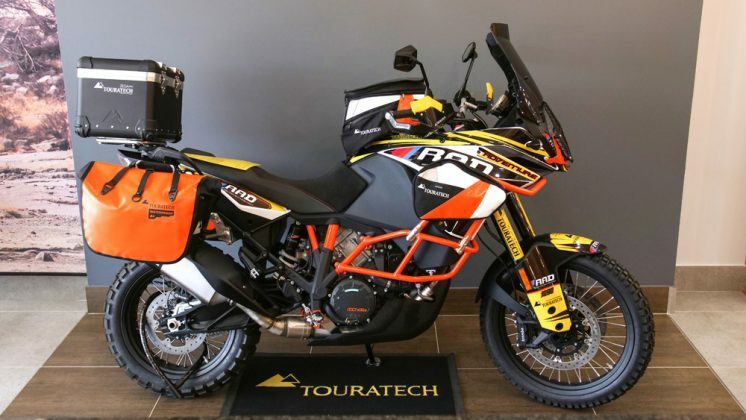 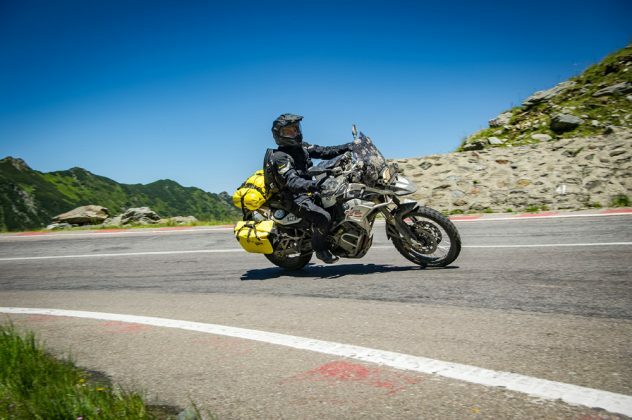 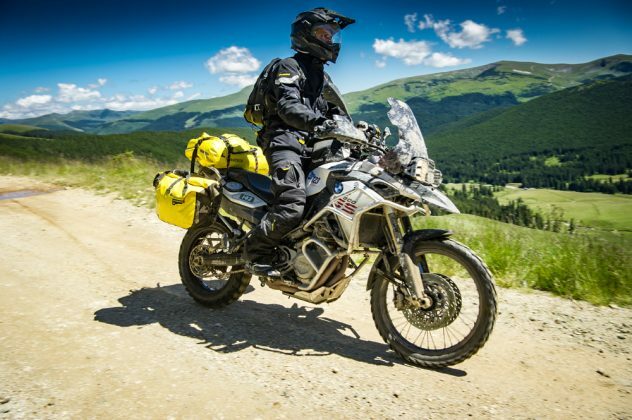 If your luggage rack is a different size, that is no problem at all, as Touratech has optional kits you can fit your new bag to your existing luggage rack. 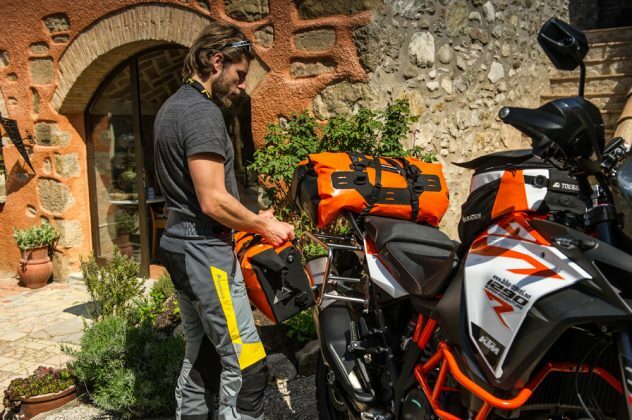 Thanks to the innovative locking system, your bag is firmly attached to the luggage rack of your motorbike whilst you’re travelling. 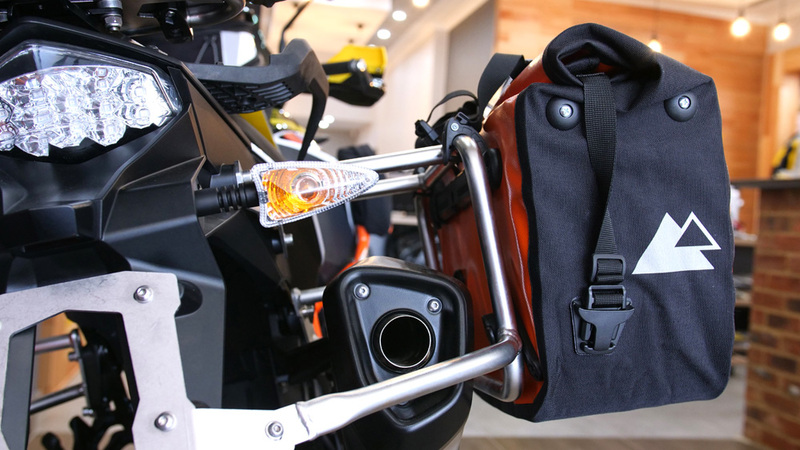 By simply lifting the bag by the handle, it automatically unlocks and can be removed from your motorbike without any complicated undoing of straps. 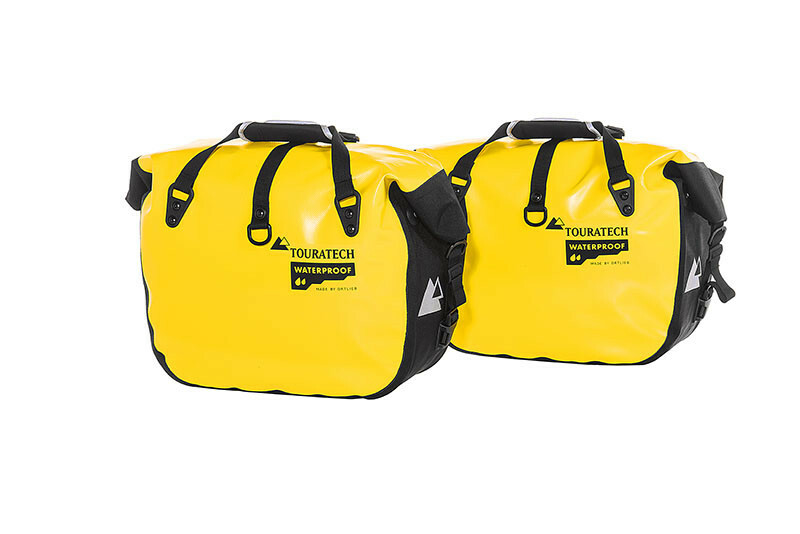 Like all products of the Touratech Waterproof series, this bag is made of a highly abrasion-resistant and waterproof fabric. 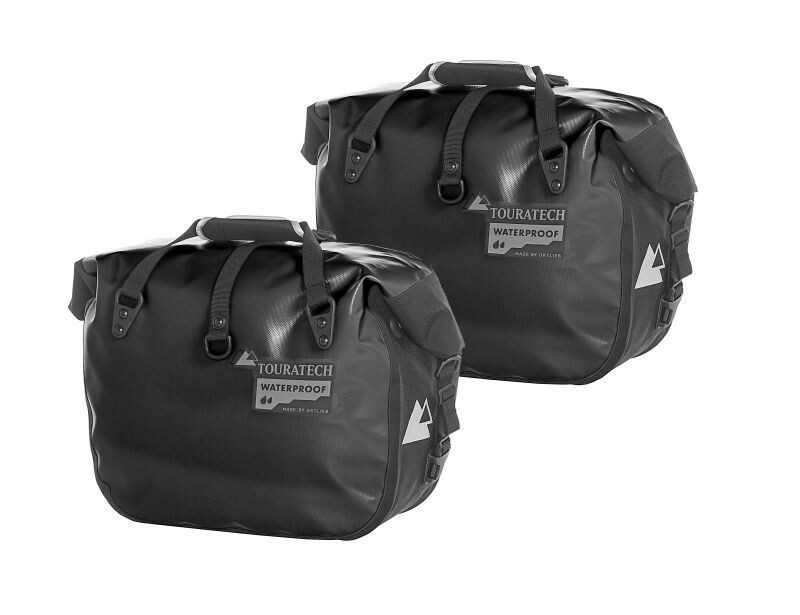 Whether on an off-road tour or in everyday life – this bag’s proven watertight, practical roll closure protects your luggage from water, dust and dirt. Held by the padded carrying handle or simply slung over your shoulder, when you’re on foot, your bag is always at hand. 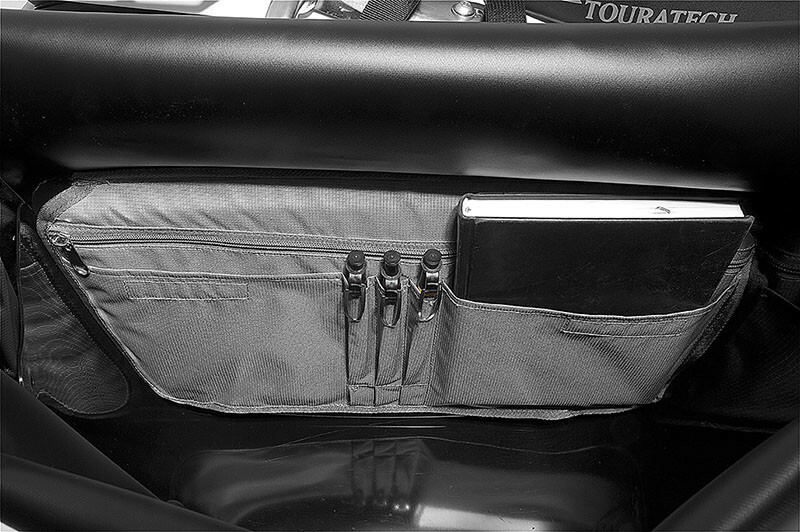 The interior organiser pocket even makes your new Side bag ENDURANCE Click a faithful companion on the way to the office or to casual business meetings. 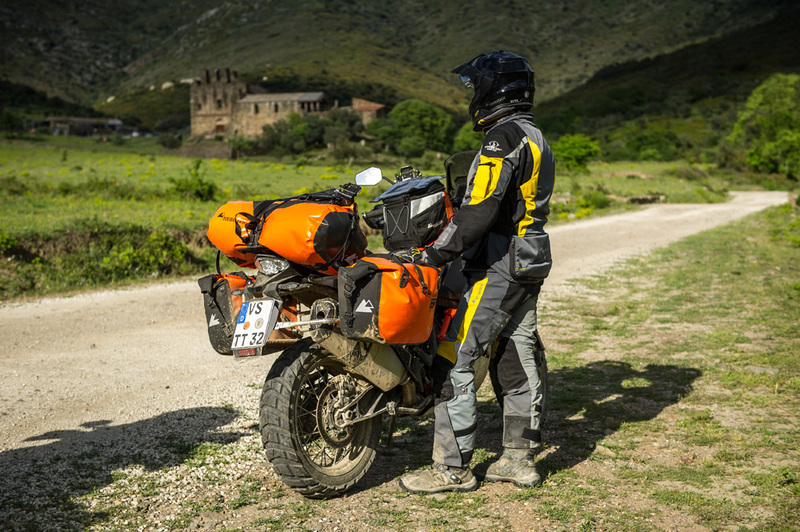 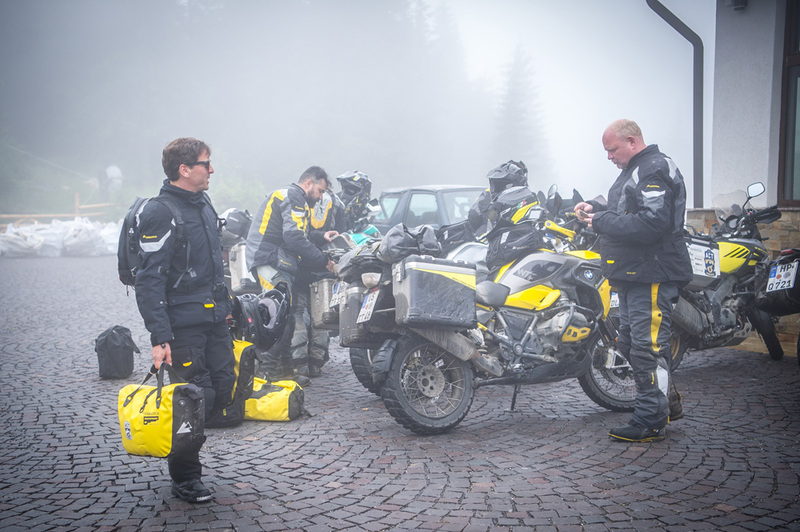 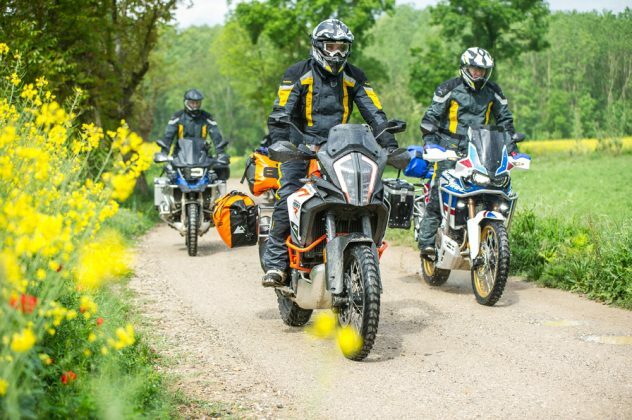 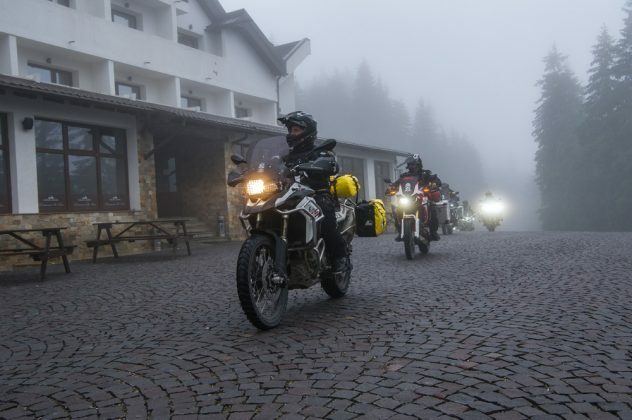 The Touratech design includes 3M Scotchlite reflectors which ensure passive safety. And should your bag get dirty when you’re out and about, a garden hose is perfectly adequate for cleaning it! 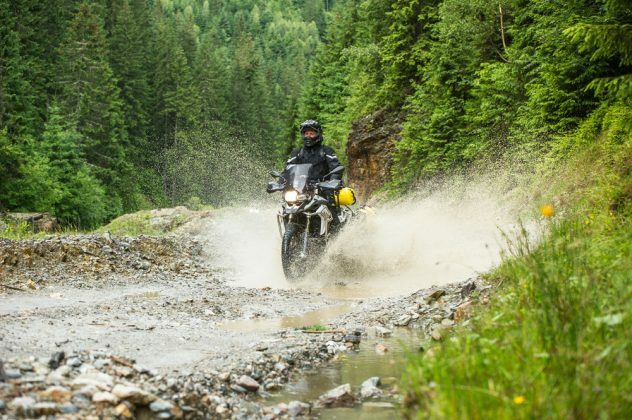 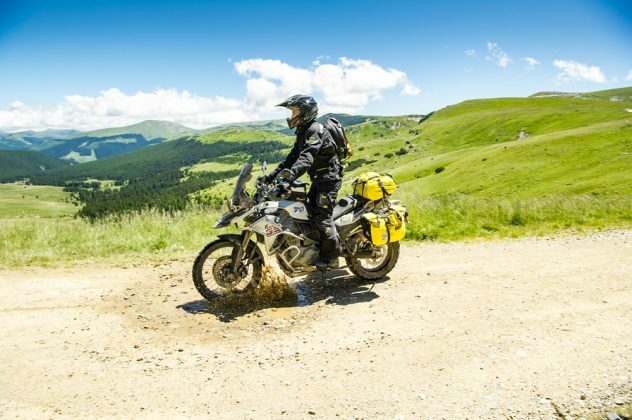 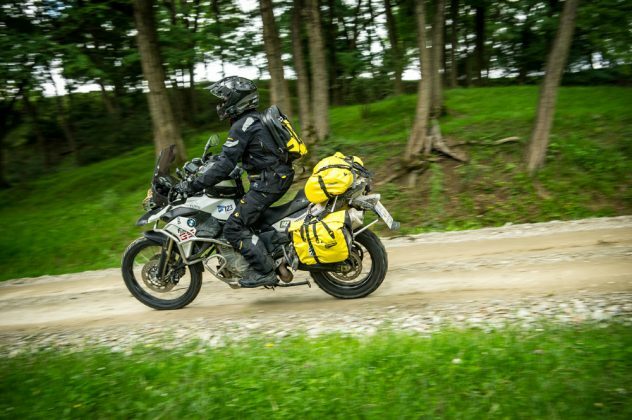 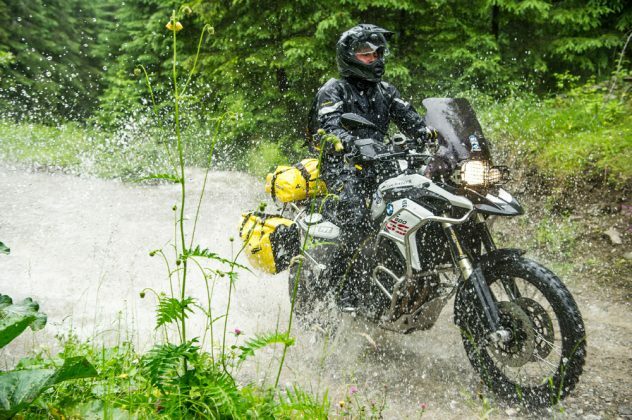 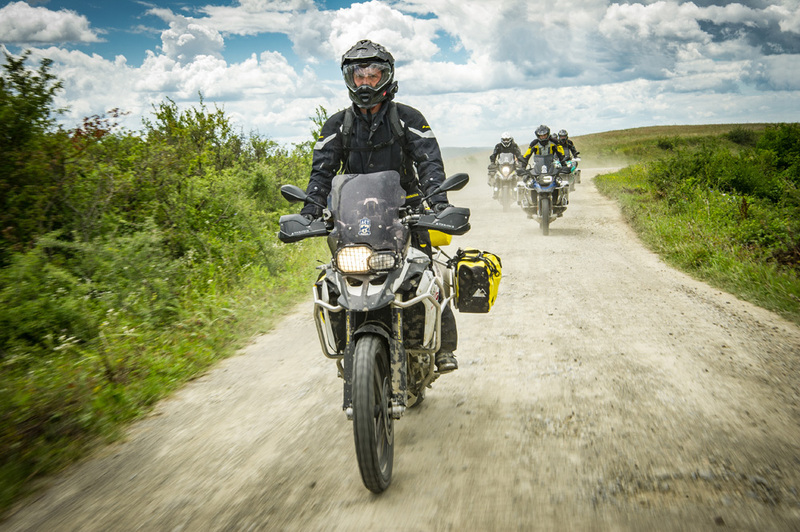 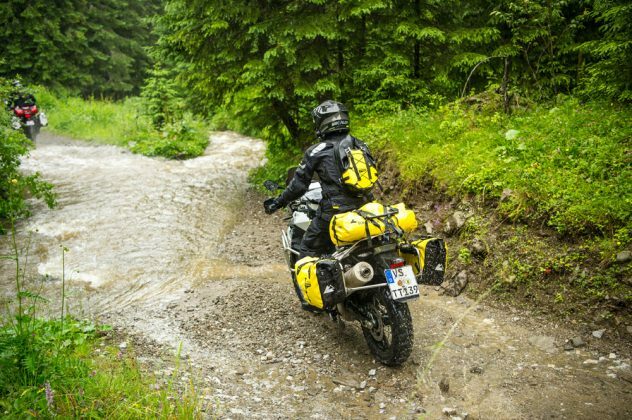 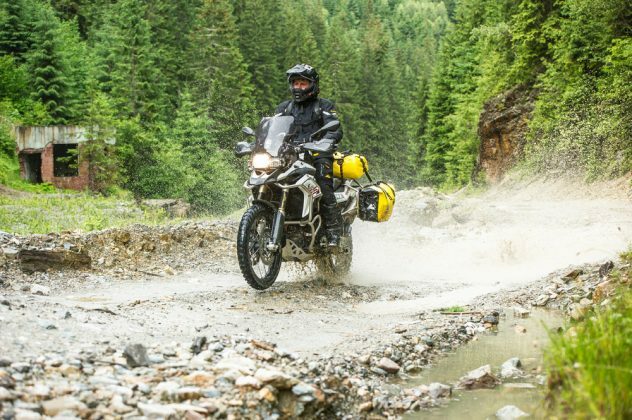 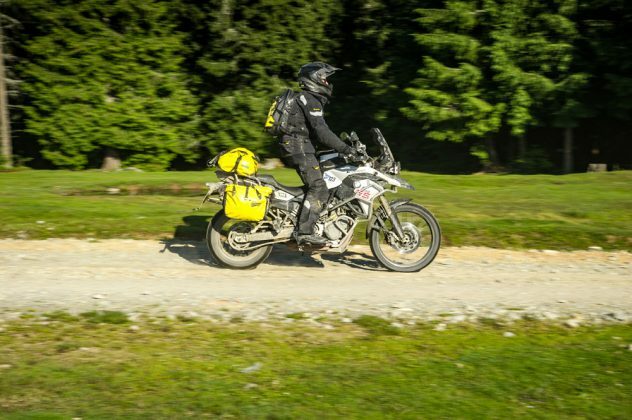 Touratech recommends a minimum distance of 10 cm to the exhaust pipe!